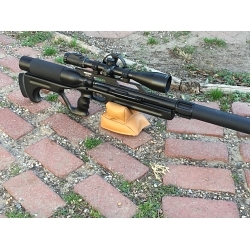 Airforce Raptor Texan Shrot Stock is for Texan only. Stock accessories includes 2 sling studs and Bench Leg. Weight 1LB 11 OZ, Length 27″, LOP 14 1/2 “. Airforce Raptor Short is made to fit the Condor, Condor SS, Talon, Talon SS, Talon P, Escape, Escape SS, Escape UL, Texan and Texan SS.